live at the midnight special! Who else loves 70s music? they were working it. thumbs up. This song makes me smile and swell with pride for a musical group that was outside the norm. That being said, let's be honest....Lolly and his brother were Mexican and maybe 10% Native American, but they chose to present themselves as Native Americans, and I understand that. It was the hook that got them air play. I loved this song when it came out. I love it still. I only post this to let people know that sometimes music reaches you based on a certain culture or vibe. I am asking you not to judge music based on culture but on the sound that effects your soul and hopefully makes you smile and feel good. This song is a classic based on its own musical merits. Love this song! Didn't know that they were Native Americans! Thought they were White! Hmmm, learn something new everyday! 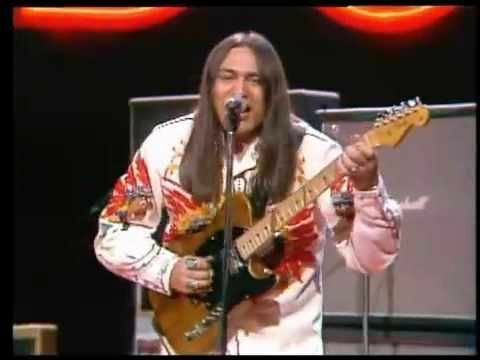 All of these years I had no idea a Native American band made this song. Mind blown. This song would have stated under my radar of it wasn't for Guardians of the Galaxy. It really brought in back into the mainstream.